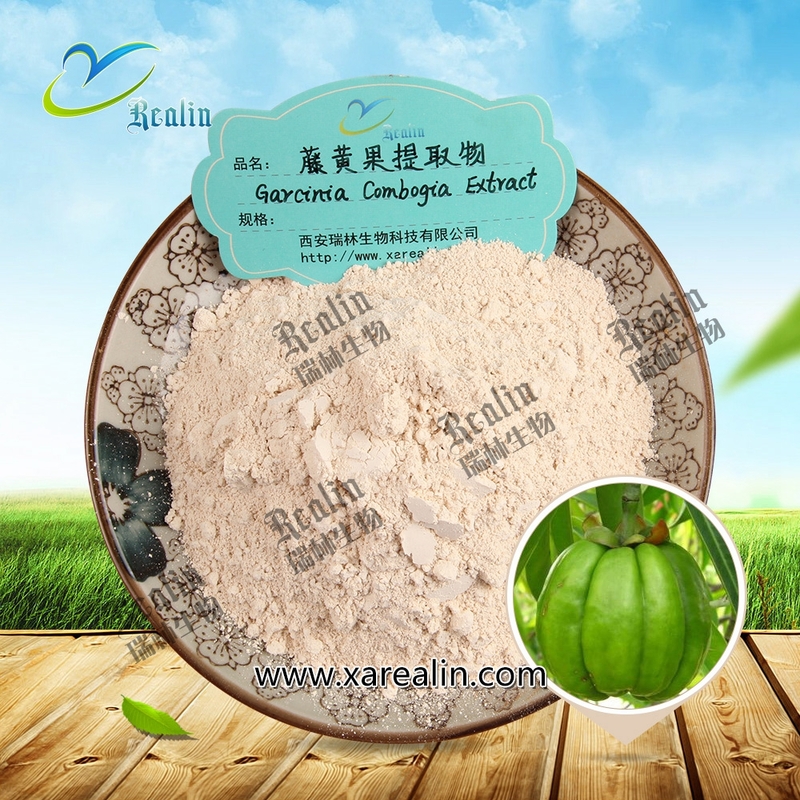 Garcinia cambogia extract comes from the fruit of the garcinia cambogia tree that grows across Southeast Asia. Other common names for the tree include Brindall berry, Malabar tamarind, Uppagi, and Gamboge. The fruit contains hydroxycitric acid (HCA), which makes up the bulk of the extract. Hydroxycitric Acid (HCA) has been standardized for Calcium salts (Water insoluble), Combination Calcium, Potassium, Magnesium salts (Water soluble), Liquid HCA. 4.Garcinia cambogia extract used to regulating fat metabolism, inhibiting lipogenesis and promoting fat burning.